Your locally owned and operated custom clothing store since 2007. Here at MainStage we stock local artisans. One of our favourites is Hilda and Hanel. Come check out all the amazing products they have in store. 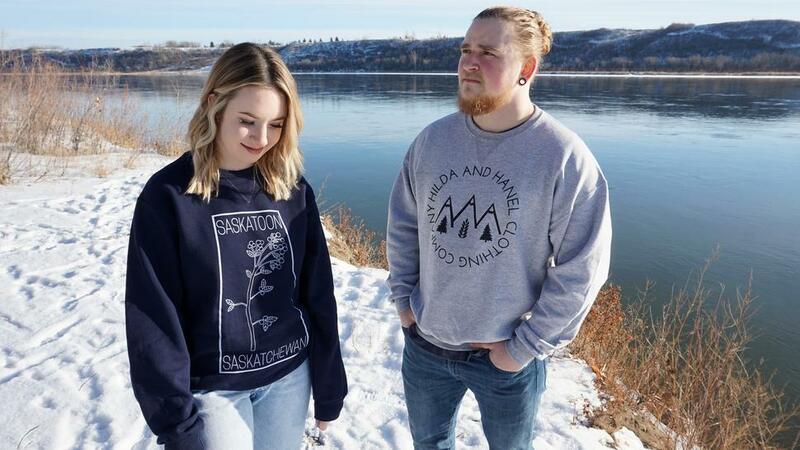 Hilda & Hanel Clothing Co. is based out of Saskatoon, Saskatchewan. We launched our first collection-"The Home Collection"- during the summer of 2017 in homage to our prairie and Canadian roots. Focused on providing unique and original streetwear for all, you might notice that most of the line is offered in unisex sizing. We believe no piece of clothing is too masculine or feminine for anyone to wear and encourage everyone to find their own sense of style. Designs are hand drawn and printed locally in the Saskatoon area.